Peas can be prepared very tasty porridge, rich in vegetable proteins, starch, vitamins and dietary fiber. Due to the low amount of calories (90 kcal per 100 grams) and high protein content, peas are often included in the diet of athletes consumed during the diets, prepared during periods of fasting. Hummus can bring great benefit to the body. The chemical composition of this product is unique in the pea contain vitamins E, PP, H, b vitamins, beta-carotene, and many minerals such as iron, iodine, calcium, selenium, manganese, copper and many others. The antioxidants present in the peas have a wonderful effect on the skin, this product helps to keep her toned, young and healthy. Pea porridge should periodically prepare and eat to replenish the body with essential micronutrients. This dish is not just delicious, it also nourishes the human body with slow carbohydrates. Pea porridge causes prolonged feeling of satiety. Due to this property, it is possible to cook during a diet. This delicious dish is recommended to include in the diet of people in different age categories – children (from three years) and the elderly. Porridge made of peas you can cook and combine with vegetable and meat dishes. To cooking did not take much time, peas need to be soaked for a few hours. Such a mess of peas cooked very quickly. Vegetable protein found in peas, is necessary for any person to normal functioning. In the composition of peas is present in amino acid lysine. It is able to deal with a bad mood, chronic fatigue, herpes virus, and also helps to regulate the cardiovascular system. Due to the large amount of vitamin A, pea porridge is very useful when the bad condition of nails, skin and hair. Vitamin a deficiency affects mood and vision. B vitamins, which are present in pea porridge, support the immune system and make the body immune to various diseases. Mung bean porridge can be included in the diet for colds, it helps the person to recover faster. 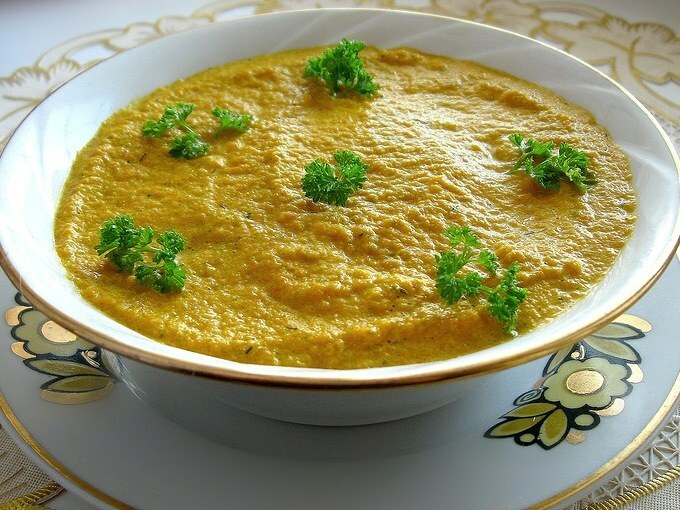 Pea porridge has a positive effect on the state of the digestive system. It helps get rid of constipation, stimulates digestive processes in the stomach and increases appetite. The useful properties of cereals used in the treatment of changes in blood pressure, anemia, anemia. Despite its useful properties, the use of mushy can harm the body. It promotes flatulence and may be the cause of bloating. Do not use this product in diseases of the stomach and duodenum, especially in the chronic stage. Pea porridge is not recommended for people with diabetes, diseases of the kidney, including urolithiasis, gout and people with exacerbations of heart disease. The product is absolutely contraindicated in case of cholecystitis, weak blood circulation, nephritis, in the acute stage.